They don't just want to destroy you and your supply chain - they want to 'own' you. Cybercriminals are not only looking to attack you and the businesses from your supply chain – they’re looking to ‘own’ you. A new report by Carbon Black based on more than 100 of its IR partners and more than 500 response engagements found half of today’s surveyed attacks leverage the so-called ‘island-hopping’ - which means hackers attack the entire supply chain. More than half of those surveyed (56 per cent) witnessed counter-incident response in the last three months, too. 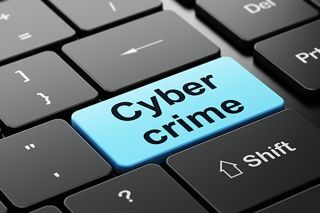 Cybercriminals now move laterally within the network, meaning they look for new vulnerabilities to abuse, and native operating system tools to use. It was also said that the attacks are by no means naïve. A third of victims experience ‘destructive attacks’. Both financial and healthcare industries are the two most targeted and most vulnerable. However, the manufacturing industry is catching up. You can find the full Carbon Black report on this link.